As my dayjob doesn’t leave me enough time to come up with something new and a EU law concerning VAT tax coming into effect in 2015 makes selling digital goods rather complicated, I chose to close my business & put everything I designed so far online for free. 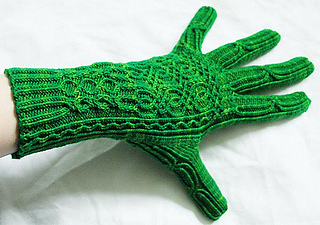 Want to knit really elaborate gloves? 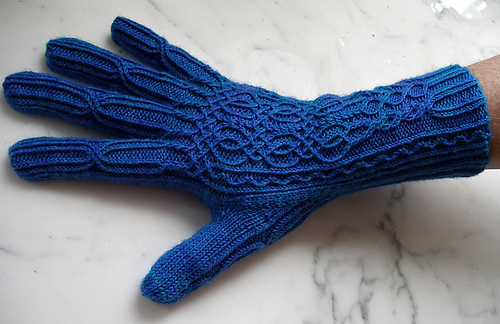 Need a not-mindless project? 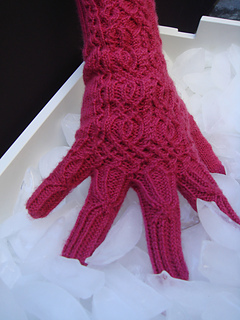 Do you have cold hands? This pattern can be the one you look for. Many many cables, spreading from the wrist up to the fingertips. 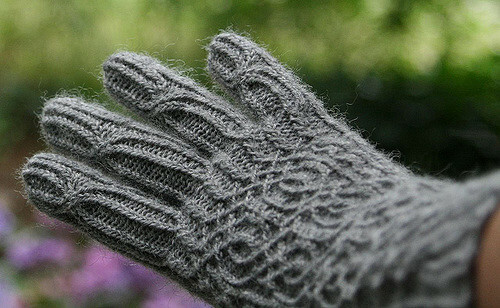 You can knit them using a cable needle, but it would also be a good opportunity to learn cabling without a cable needle. 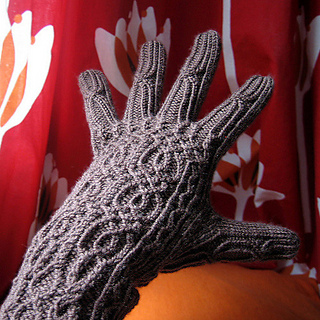 The pattern includes women’s size M/L only (18-19cm hand circumference)! 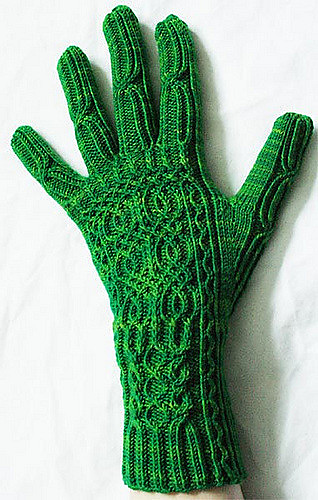 (It will fit men’s size S, too), but by using slighty smaller needles it will fit women’s size M also. This is a chart based pattern.